By the age of 1 year old, toddlers are increasingly attracted to instruments and sounds. Slightly more interactive than musical toys for babies, the best musical toys for toddlers and 1 year olds stimulate creativity and imagination when music is triggered by movement. This aids toward the development of motor skills, which in the years to follow become more complex motor movements such as playing a musical instrument. 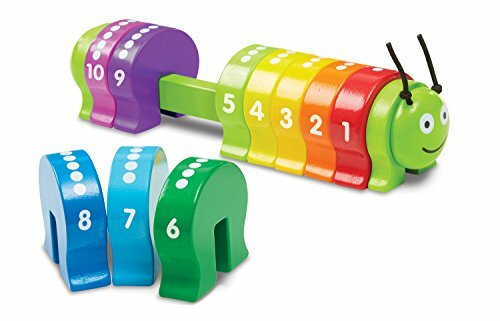 As 1 year old’s start to recognize popular children’s songs and nursery rhymes they receive enormous benefits from musical toys that play well known melodies. The repetition of simple songs aids memory and the early development of language. Many toddlers can sing melodies and bop along to songs they know well before they can structure a sentence. Musical expression in the form of movement starts as early as the toddler years, and there’s nothing more heartwarming than watching a young child dance to their favorite song, imitate playing an instrument, or sing a nursery rhyme out of tune. Research conducted by the University of Southern California’s Brain and Creativity Institute in 2016 found that children’s brains develop faster with music training. So musical experiences with musical toys in childhood can actually accelerate brain development, particularly in the areas of language acquisition and reading skills. Further studies prove that babies and toddlers who are more exposed to music and musical toys, through playing, listening and singing, tend to be more advanced than their peers in terms of learning skills, critical and logical thinking skills, and problem-solving skills. Early learning experts agree that the best musical toys for toddlers are ones that facilitate creativity, allowing them to both listen to and create musical sounds by their own hand. We’ve consulted our network of educational experts to ask for their top picks for this years best musical toys. Here are just a few of what our early learning experts deem to be the best musical toys for toddlers this year. You can view all these and more great musical toys at our online toy shop. Fill your cart with multiple toys, then we’ll send your whole cart to Amazon.com to checkout. Too easy! Musical Toys for Toddlers: Headache or Head-Start? This entry was posted in Musical Toys and tagged musical toys, musical toys for 1 year olds, musical toys for toddlers.